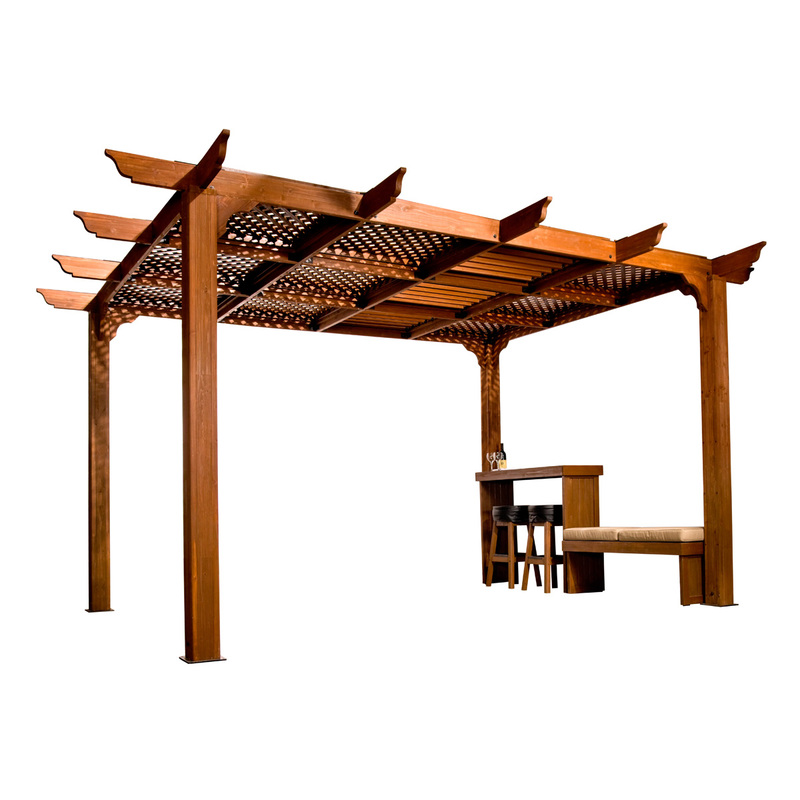 Our cedar structures are the perfect and classy complement to your patio. 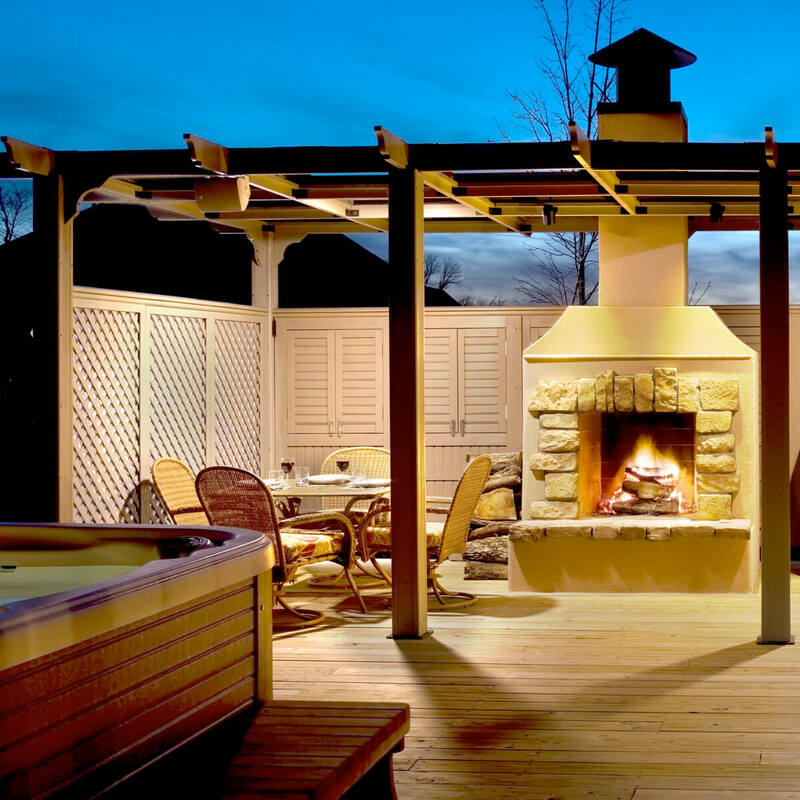 They can be used to provide shade, privacy, and style to your spa, table and chairs, et cetera. Multiple configurations are workable. Start with the square 10’x10′ or rectangle 10’x13′ and then add as many 10′ sections to cover a larger area or to form an “L” shape. The possibilities are endless! 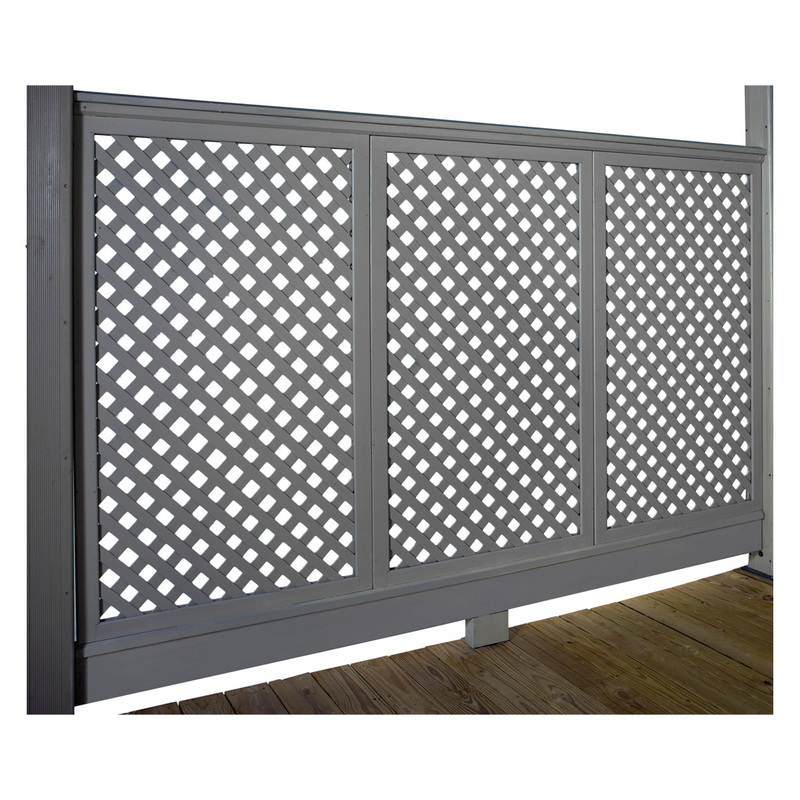 Then choose a lattice or louver roof option. Three color choices: Deep Red, Coastal Gray and Espresso.